When you sip a cup of tea in a peaceful teahouse of Saigon, what you will enjoy is not simply the unique flavor. Saigon is big but it’s the timeless coffee shops, and most especially the teahouses, that create the charm of this tight community. The unique flavor is but the welcoming sip. And if you ever wish to find a sliver of peace in the emerging city of Saigon, tea will shelter you. The modern Saigonese have a daily habit of drinking coffee and milk tea. Because of this, many people assume that the people of this city do not know how to enjoy the original elegant flavor of tea. 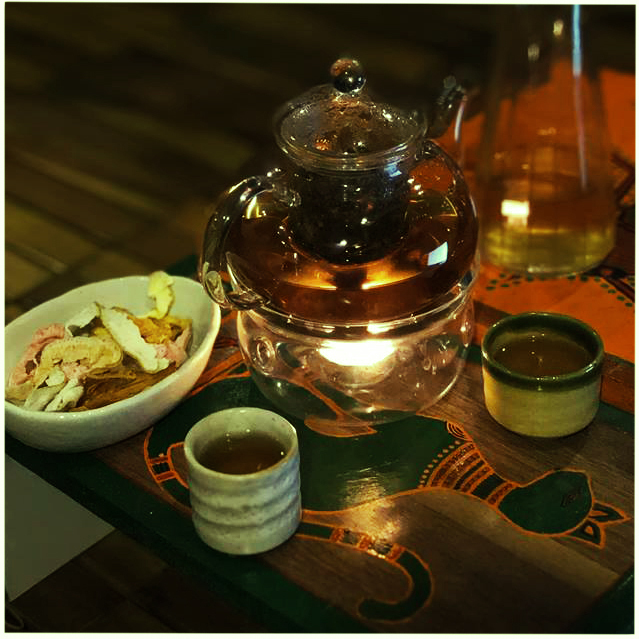 However, if you spend a little effort discovering deep into the alleyways of Saigon, you will find the tea gems that warm the heart of this city. Dear Teahouse appears at the end of a narrow and quiet alleyway in District 1. While Saigon is the busiest region of Vietnam, and District 1 is the busiest area of the city, this alley whispers the charm of a small town clinging to the past. In the historically old yet charming streets of Saigon, this teahouse welcomes customers with its pure white walls and simple decor. Open the door and you will be greeted with a very pleasant aroma and gentle music. The bar is in the back, where the tea makers will kindly explain their different sets of tea, and let you watch their clever manners while preparing your beautiful set. While waiting, you can grab a travel book on their shelves. Each book was designed and written by a local artist, hence not only will you be exposed to a new destination, you will also experience a new point of view! In District 1 hides yet another silent alley. At no. 30, Pho Duc Chinh street, turn right onto a small alley, walk to the end of it, turn right and keep going to the wall at the end. There, look to your left, you will see a small stairwell that leads you upward, follow it. After you have ascended four floors, you will be rewarded! 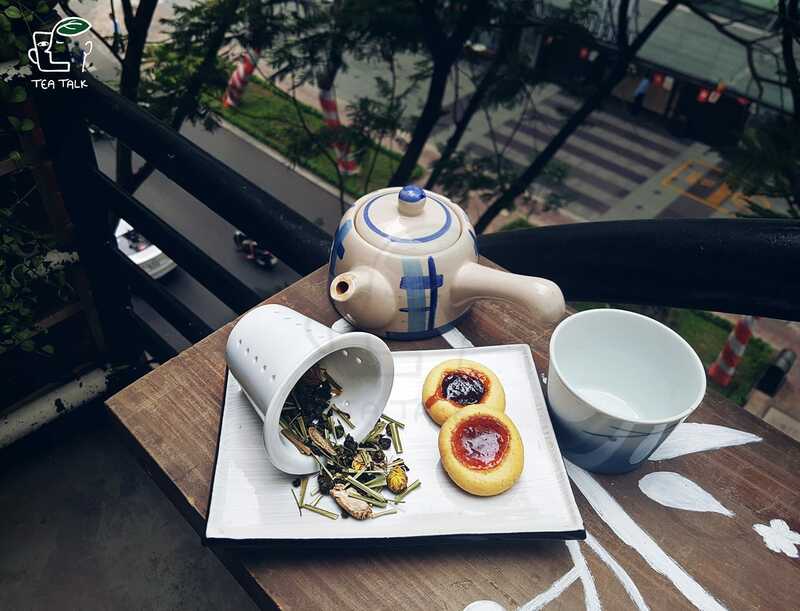 On the rooftop of this four-floor house, Mzung Teahouse welcomes you with their handmade boho door, which introduces their blue and orange theme colors. Once you step inside, you will find yourself lost in another world – the world of realistic dreamers, the world of blue and green, books and tea, paintings and dry jams. This small world was born with the enthusiasm of a thoughtful film director (Ms. My Dung). And if you are a fan of the sustainable lifestyle, you probably will burst into happy tears with their little library just as I did upon discovering it. There are various tea sets for you to try, most are for a group of two to four people. I highly recommend the brown rice tea, which gives a strong flavor of brown rice, beans, and herbs. The outdoor seats are perfect for a morning chill, and the indoor setting will set you at peace with your book if you go alone. 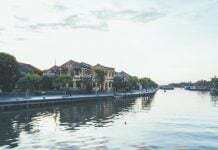 Located near the facade of the expensive Le Thanh Ton street, Hatvala makes its exquisite home. Premium tea collections from across Vietnam are showcased here, and the staff can give you thorough knowledge of each tea. With a hope to communicate the value of Vietnamese tea to the world, one founder of this tea house – Ms. Ngoc Thu – operates workshops that explore the flavors and stories behind Vietnamese tea. 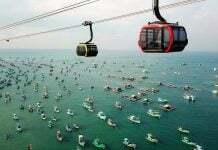 You can book in advance here. 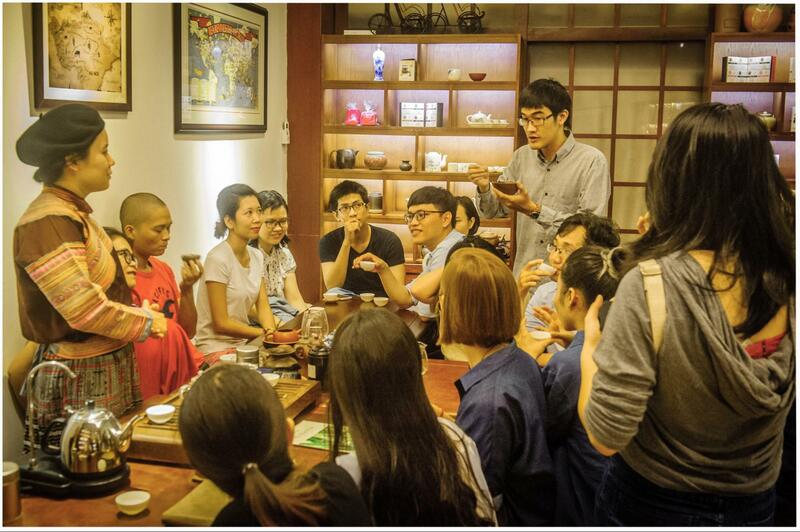 Ms. Thu has been traveling for five years to the tea regions of Vietnam, China, and India to consolidate her insights about this herbal drink. 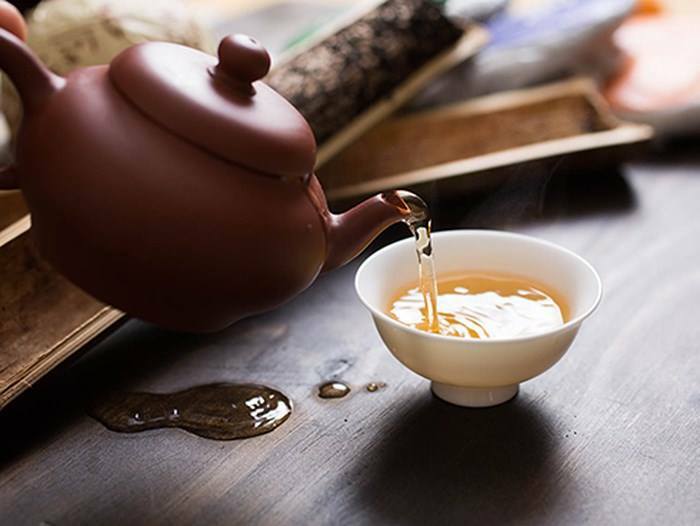 You will not only gain an understanding of the history and typical tastes of tea in Vietnam, but you will also learn a thing or two about how different types of tea suit your health and regional conditions. 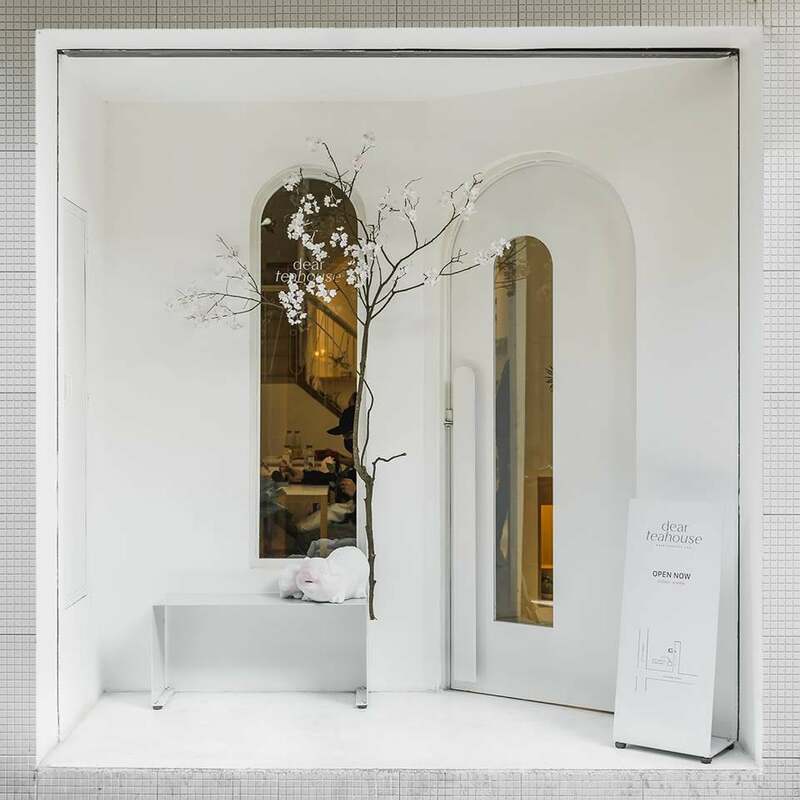 This quiet tea shop seeks to create a calm space for the introvert. You will find minimalist design and green corners around the shop, a simple and peaceful space to nurture our quiet sides. If you come here for a drink, I recommend the lotus tea. Lotus flower is not just the symbolic flower of Vietnam, it also grows beautifully upon the swamp and makes for an aromatic sip. You can also buy some crackers that match well with your cup of tea. I recommend sitting on their open space rooftop. The walls are made from bamboo and there are green plants in every corner. Yet, if you prefer shelter from the scorching noon, their glassy studio will not disappoint you! Climb the mossy staircases of an aged apartment building, and you will soon find on the second floor a clean and neat balcony filled with plants. This is where Man Tu Zen Tea makes its lovely home. Transforming an old apartment into a peaceful tea space, this small tea shop is rustic, yet peaceful. You will find many books, most encourage a more positive and harmonious energy. What’s special about this place is their donation-based tea sets. Pay what you feel this shop deserves or what you can afford. The artworks remind you to breathe whenever a negative emotion surfaces, and get back to the community when you have recharged your energy. Man Tu Zen Tea is a charming place for soul retreats right in the heart of this busy town! You may already know the basic differences between Western and Eastern tea, it’s just the size of the cups. Eastern countries (China, Japan, Korea, Vietnam) favor very small teacups, and they like to drink five cups per teapot. This is because the main purpose of the tea is not just about the tea itself, but about gathering together. There is so much more to know about our tea that words cannot encapsulate. 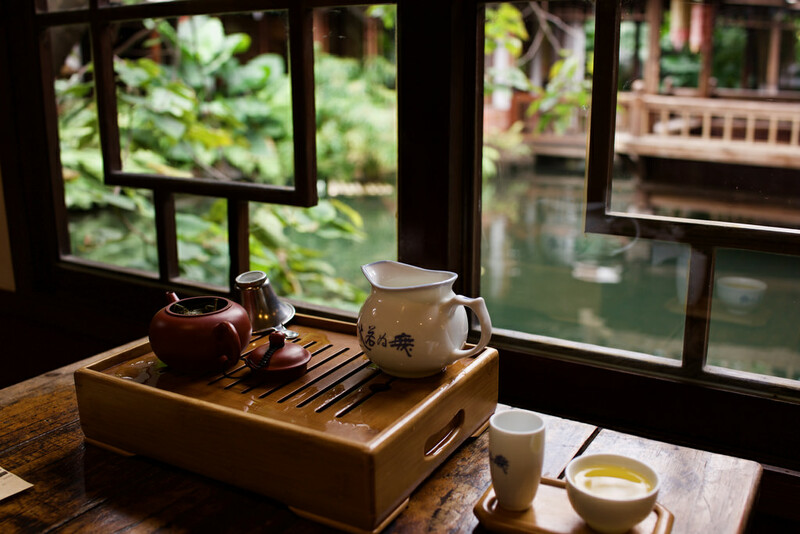 Instead, you need to visit a few of these special teahouses. If you enjoyed reading this article and would like some more fun info about what to see, do and eat (and a bunch of interesting cafes!) 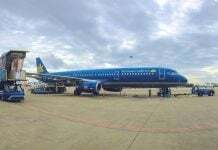 in Vietnam, follow us at Christina’s Blog!